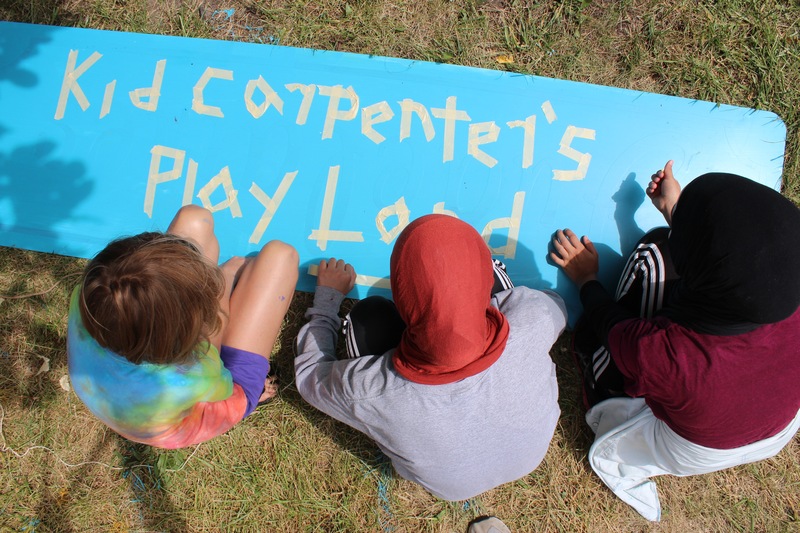 Camp Carpenter Summer 2019 camp dates and registration coming soon! 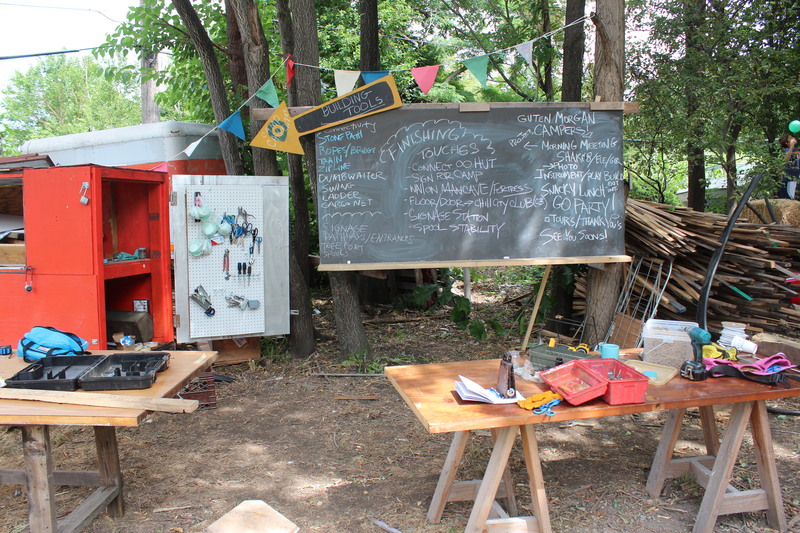 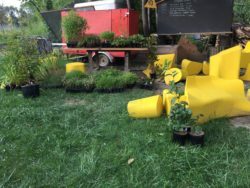 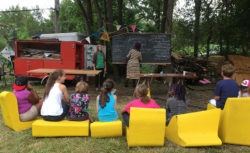 Mission: Camp Carpenter focuses on Detroit’s next generation of artistic producers by giving them the tools and skills to reimagine their built environment. 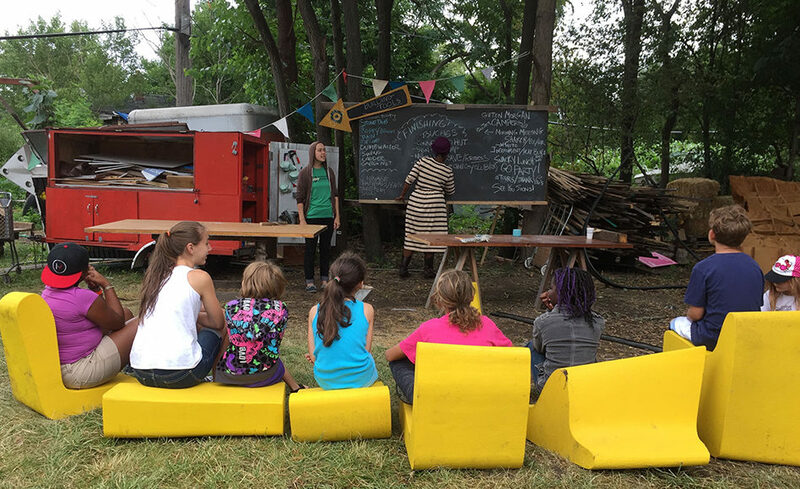 Camp Carpenter welcomes youth into the Popps Packing ecosystem as generative artists and stakeholders in their own community, strengthening the ties between artists, youth and other neighborhood residents. 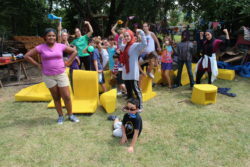 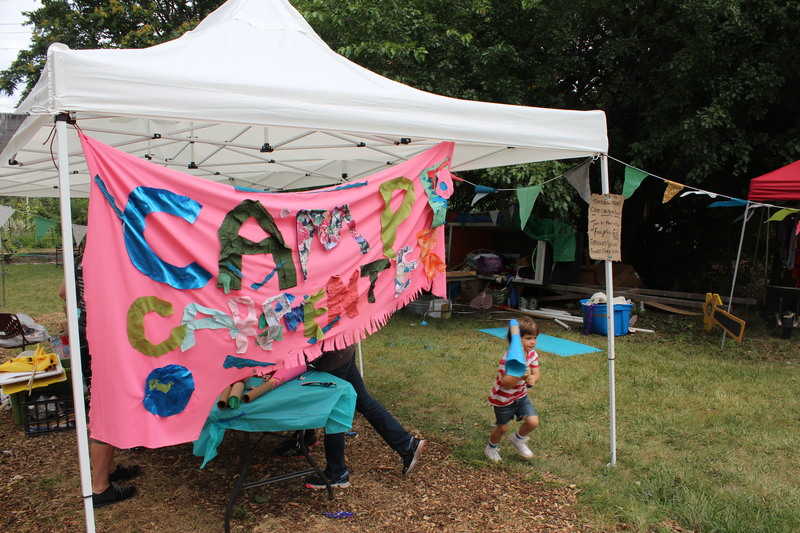 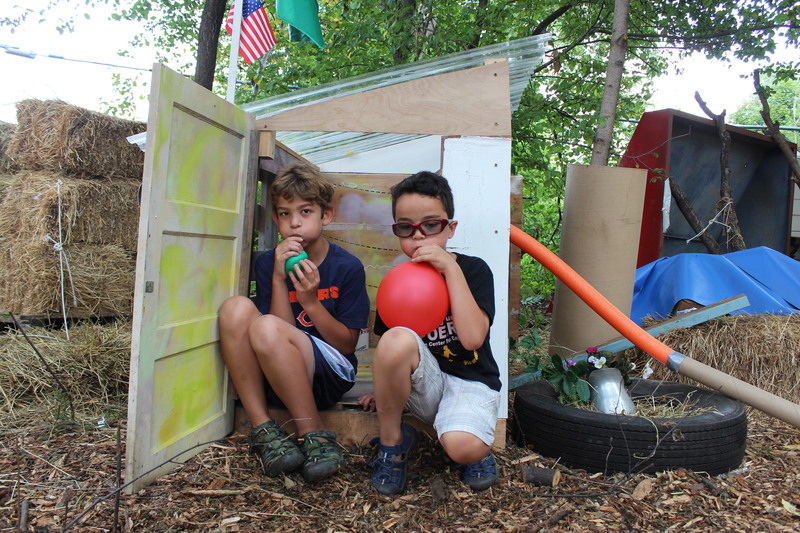 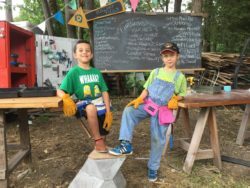 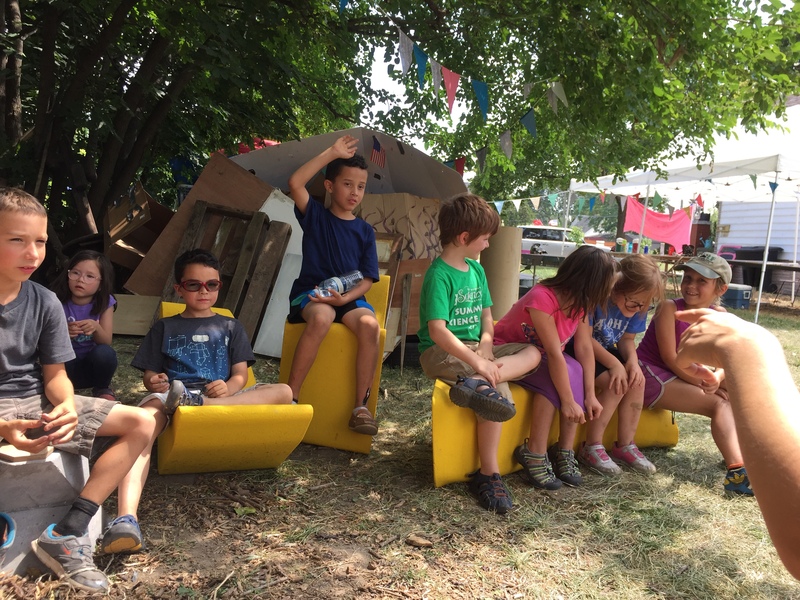 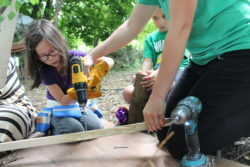 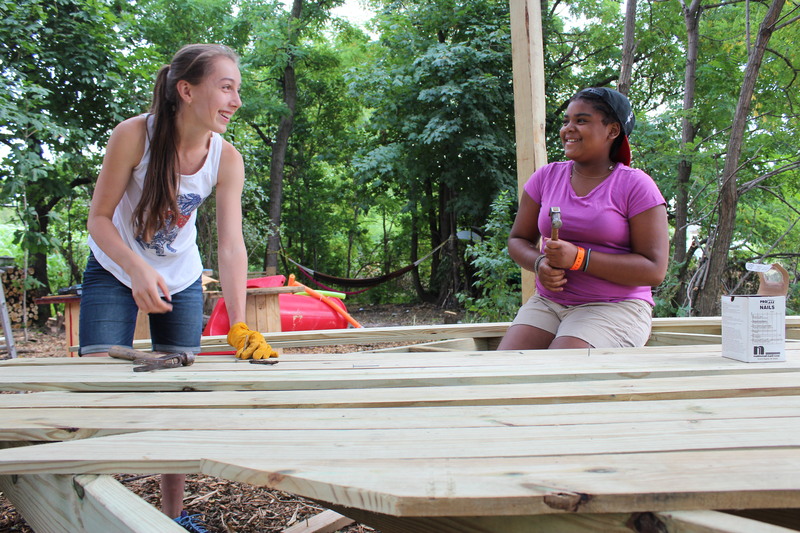 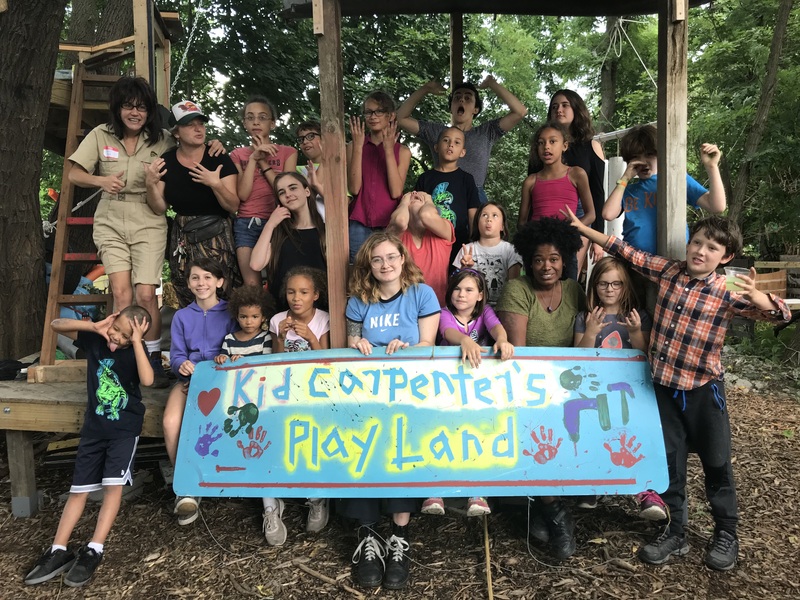 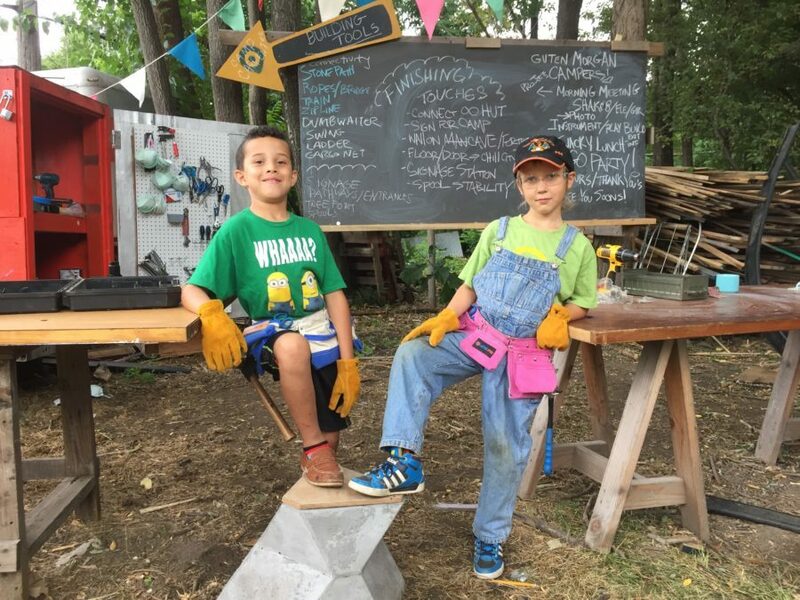 Camp Carpenter is a week long outdoor adventure camp for ages 7-14 set in and around Popps Packing’s dynamic buildings, art installations, and green spaces. Campers work alongside professional artists to design, build and create the elements of their own imaginative worlds to construct the physical structures of the camp facility. 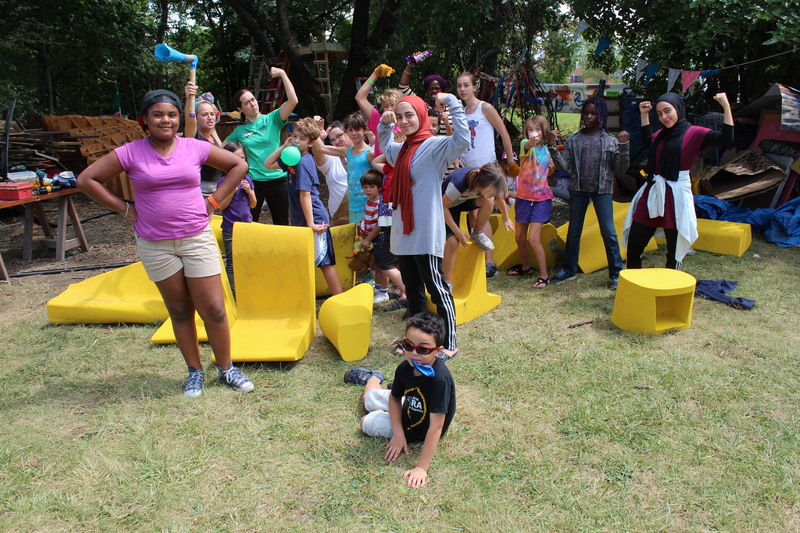 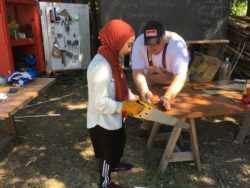 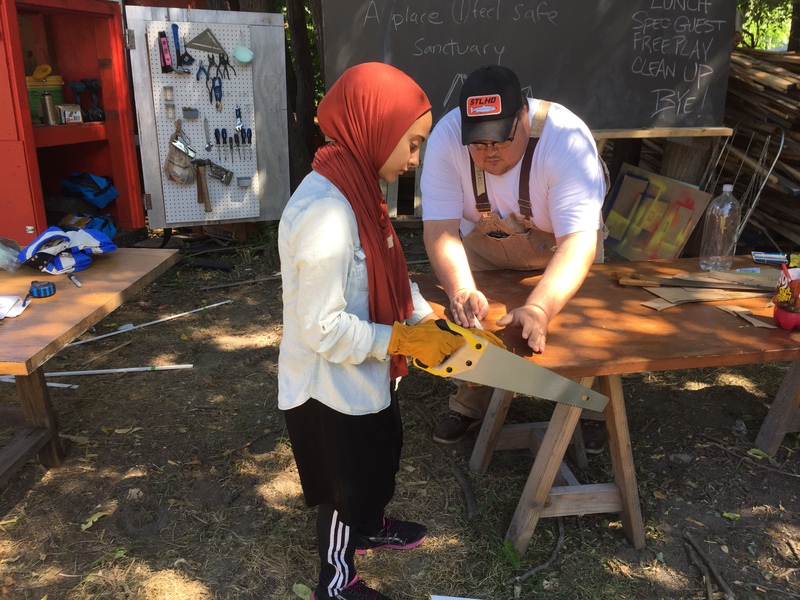 Youth will learn to use basic hand tools, to take their designs from idea to reality, to collaborate across age groups, to tell imaginative stories through theater games and role playing and more — all while contributing the betterment of the Detroit/Hamtramck community through the construction of a lasting play space for all. 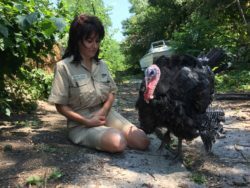 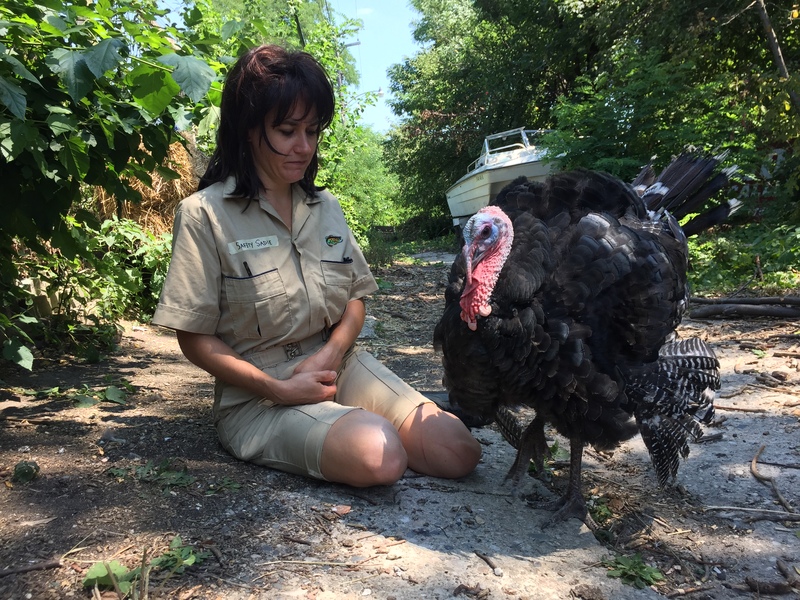 Camp Carpenter is part of a 501c3 Not for Profit Organization. 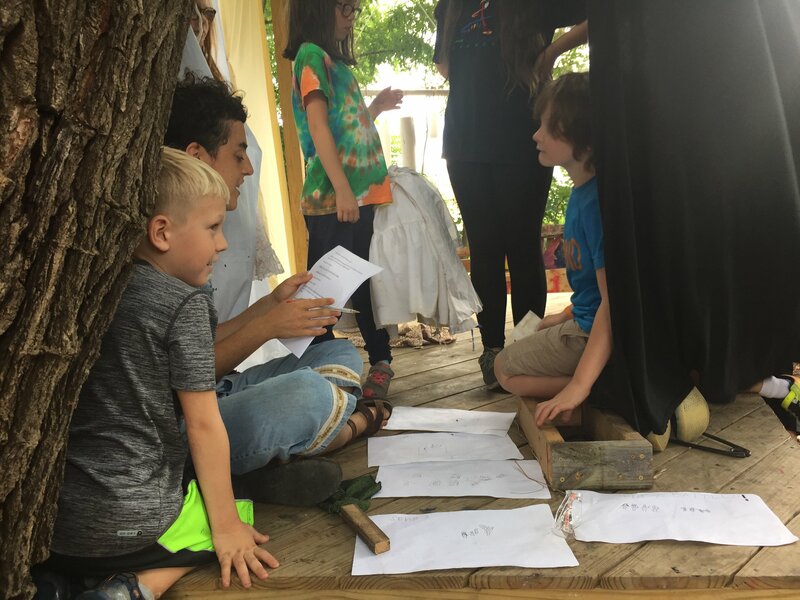 Camp enrollment is free for all local youth and we appreciate all the hard work teaching artists and staff do to help make all of this possible. 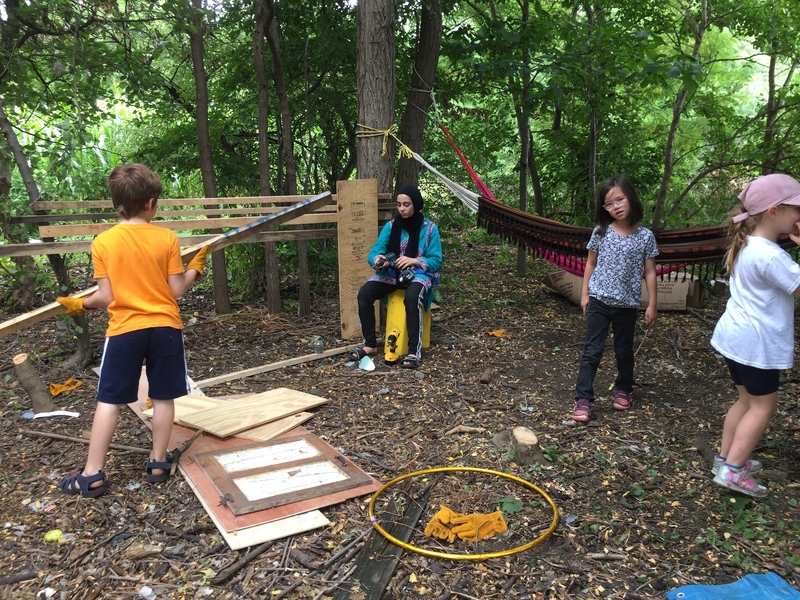 If you would like to consider donating, to continue and help build this creative environment, please follow the link below. 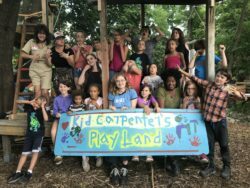 All donations are 100% tax deductible.